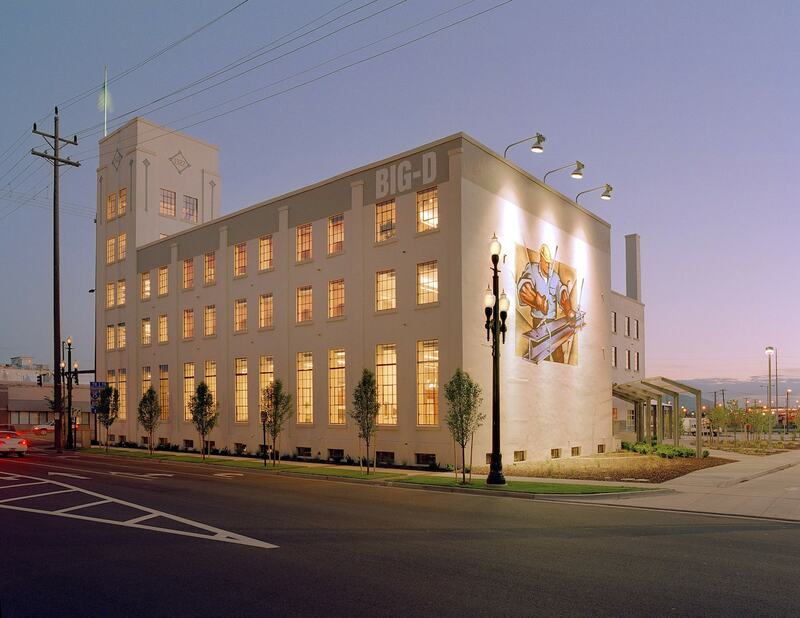 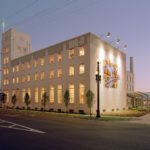 By reducing, reusing and recycling wherever possible, Big-D Construction produced a LEED Gold certified “green” building that is recognized as much for its historical appeal as it is for the community it enriches. 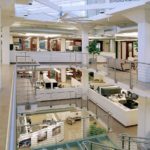 The minute you set foot in Big-D’s new corporate headquarters, you’ll realize that the glass truly is greener on the other side. 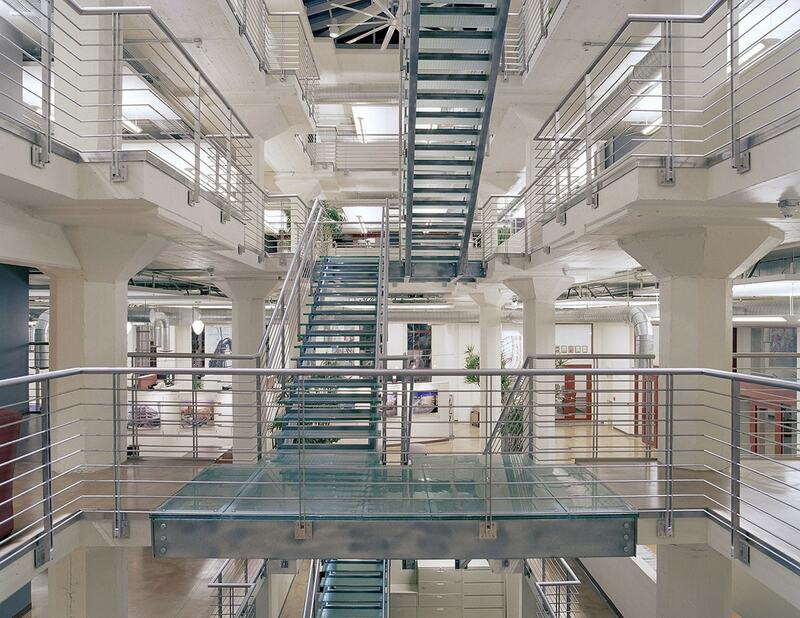 But the stairway isn’t the only thing that is green in this office. 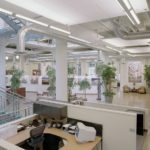 With more natural light and better air quality, this building incorporates a wealth of “green” features designed to conserve natural resources, enhance and protect natural habitats, decrease greenhouse emissions, improve employee health, comfort and productivity and contribute to community vitality and aesthetics. 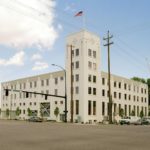 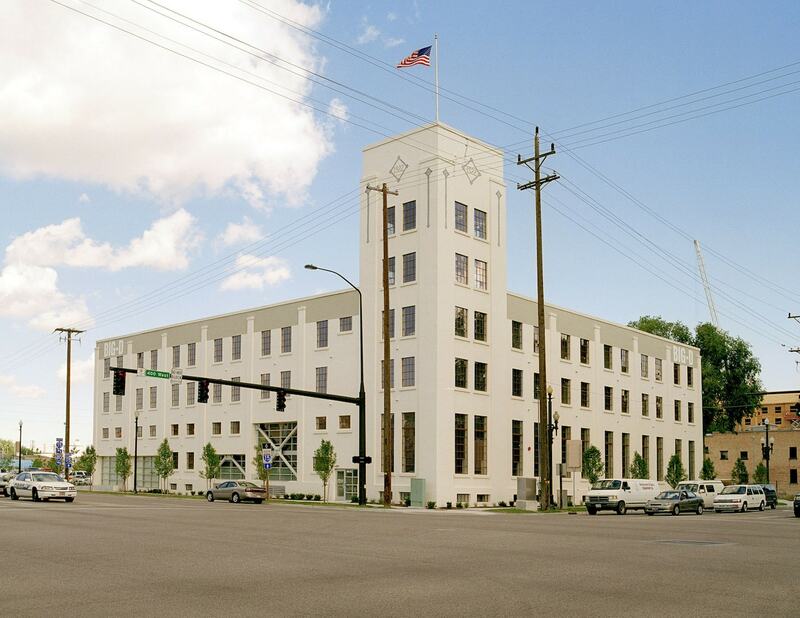 The historic preservation was executed in full compliance with National Preservation standards, including restoring the exterior to its original ochre color, refurbishing/replacing the windows and implementing structural renovations where necessary. 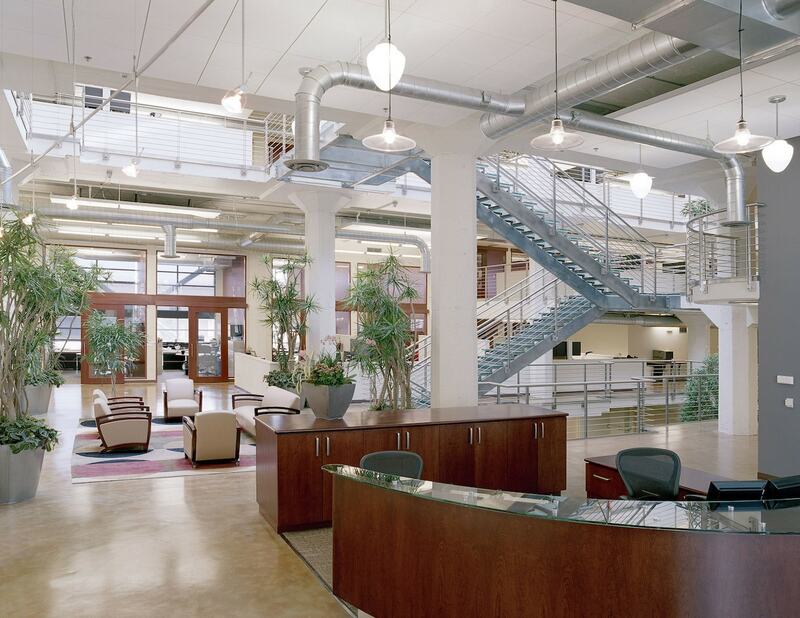 Inside, electrical, mechanical, heating and air conditioning systems were razed and replaced. 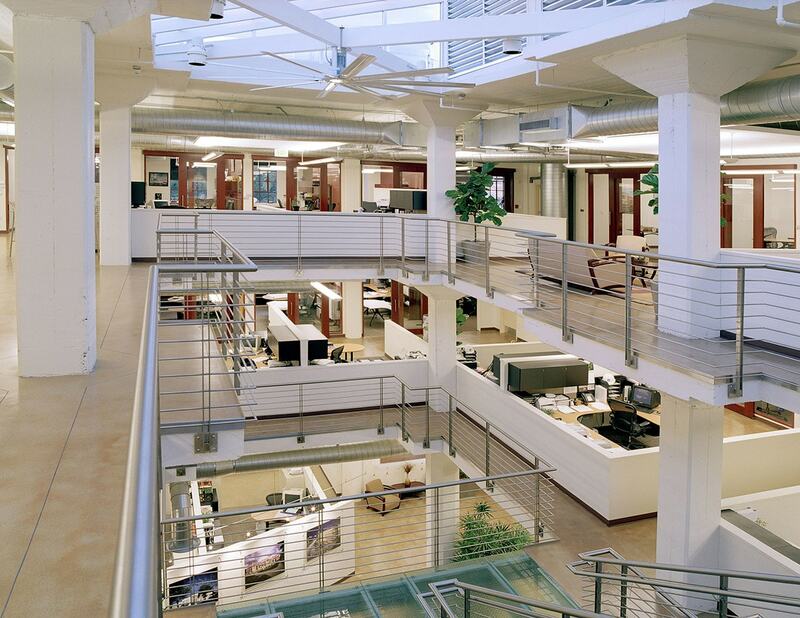 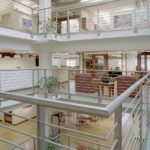 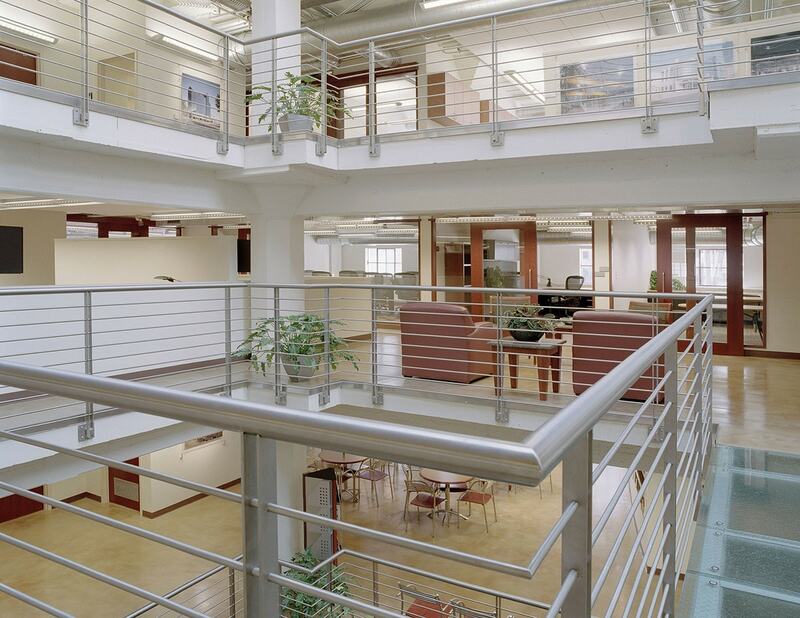 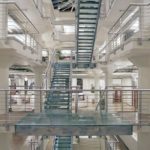 A massive glass atrium was constructed through the center of the building, providing natural light to all floors and work spaces within the office. 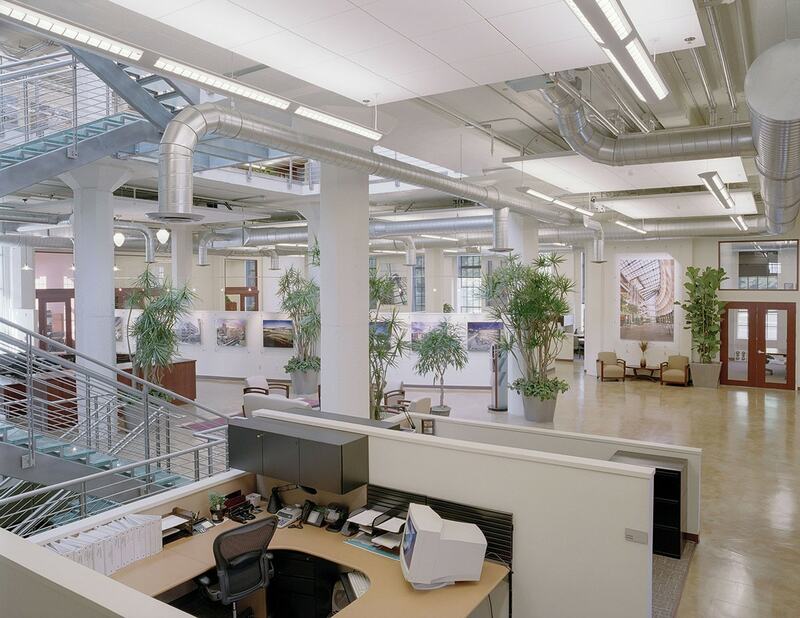 A sophisticated technology infrastructure was also installed throughout.